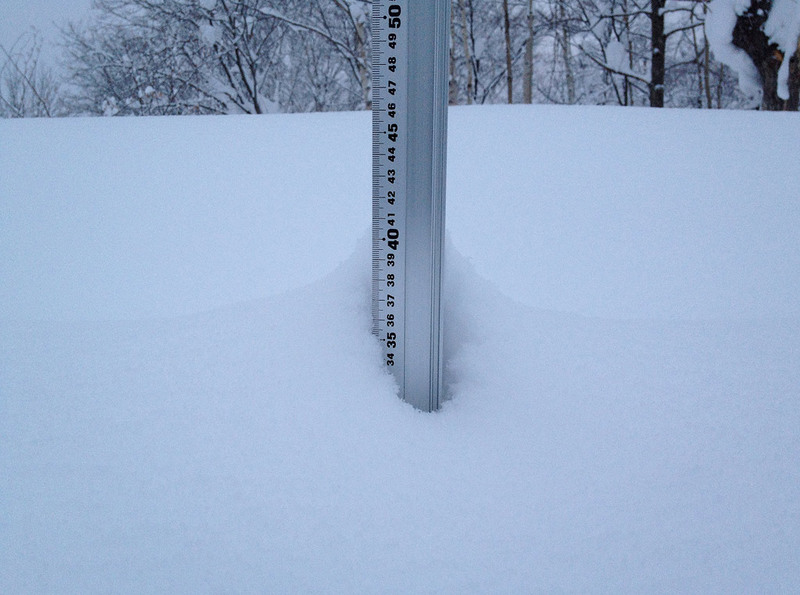 *2cm of fresh snow has fallen since yesterday morning and at 7:00am today the temperature was -1°c. It is overcast in the Hirafu village right now but the cloud is expected to burn off and the sun will be out before too long – another classic Niseko spring day awaits. Back to Niseko Village ski ground today and can’t wait to carve up Ukairo , Unforgettable and will most probably find some great spring powder turns higher up around Zangi. A few shots yesterday’s of the beautiful sunset as well as a couple from this morning to give you an idea of how things are looking on the ground right now. The St Moritz shot is pretty awesome. Thanks Ryan. It is amazing what shots are possible around the area – cheers.